Browsers have become quite boring and we haven’t seen any big change in browsers after Google Chrome. We all are familiar with the importance of a browser as it impacts on the buffering and downloading speed. Frequent amendments are necessary to meet the requirements of the advanced software and system requirements. Moreover, appealing interface with better user-connectivity have become essential demands from browsers. To fill this gape, Opera introduced its new Opera Neon Browser which offers various reasons to use it. Using web content was not a fun in the past. 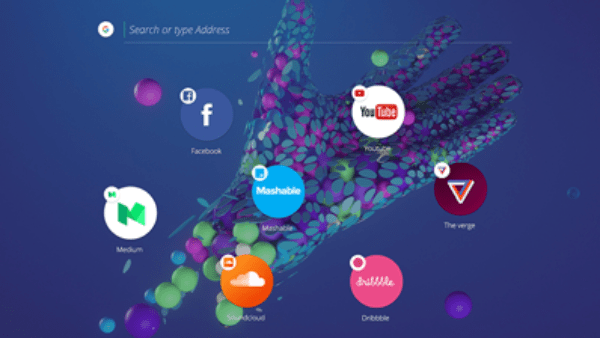 Opera Neon has made extravagant changes in the concept of browser and came up with exciting visual and technical changes. New start page, new sidebar, vertical visual tabs are the prominent and admirable amendments in Opera Neon. You can download this amazing browsing from the given link. Opera Neon Browser is the combination of old and new features. Opera has considered both functional and non-functional requirements in the developing and designing of the browser which are visible from the performance and appearance of the browser. The interface of the browser has absolutely changed and rebooted Speed dials, omniboxes, and visual tabs appear in a beautiful manner and they float in to the kickstart of the browsing session. Opera Neon has made your browser your wallpapers which are extremely eye-appealing and like a feast for the eyes. Opera Neon has bring life in the browser as every object has some weight which you can feel while dragging and moving the objects. Push, pop, and drag an object with an impressive control that Opera Neon gives to you. Everything you see in the browser is engaging and exciting. It’s another exciting built in feature of Opera Neon browser which lets you collect your favorite images and videos. Split the browser screen in two parts orb use built in omnibox for improved visual tabs for better visual appearance. So, no need to make new folders and add images and videos there to see them later as we know you forget to open it again. This instant crop, snap, and save option saves your time and lets you visit that website again as it also saves the source link of the image as well. Opera Neon uses visual features to improve the search results and lets you use different tabs y showing relevant images. With the pop up images you can find out your favorite website while the exciting tabs option keeps an eye on your most searched results and give them a priority. Opera gravity system and Speed Dial stores and schedules your searches to give you better user experience. Pop out and player option lets you watch YouTube and Vimeo channels in your own adjustable and moveable sizes and windows. Player panel organizes and sued different tabs of music and videos at one place. This enables you to quickly access your favorite video or music. Otherwise, finding a music video in your system becomes a headache when you don’t remember the exact name of the video. How to Manage Bubble Tabs? Click on the plus icon of the left sidebar to open a new tab. Check your browser and select your favorite tab bar to drag and drop the bubble. You can minimize the tab by clicking on the plus sign of the tab bubble . X icon present next to the bubble is used to close a tab on the browser. If you want to take a snapshot, then camera icon on the left sidebar is present for you which sends snapshot to gallery which you can access by clicking on the landscape icon. Player icon helps to gather and play music and videos. 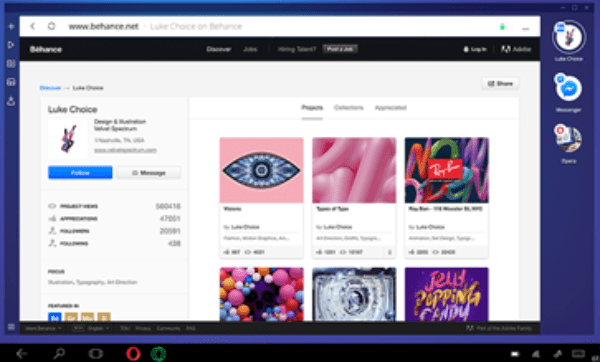 Apart from the above-mentioned features, VPN and ad-blocker are some other features of Opera Neon while you can also add extensions in your browser. The speed of the browser doesn’t affect even when you open different tabs at a time or have added multiple extensions to the browser. This is simple and fastest browser and known as concept browser due to its effectiveness. Opera is planning to bring innovative updates in Opera Neon and they are planning to give it a separate identity rather merging it with old Opera browser. However, it’s expected that some of Opera Neon features will become a part of old Opera to increase its flexibility and usability. Neon Opera has removed desktop clutter and replaced it with exciting wallpapers.